Warning against apostasy in our day seems to be akin to alerting Christians to the potential coming of a flood when they are already up to their knees in incoming tidewater. Sadly, for many, not even floating objects (i.e., the very obvious corruptions of Scripture) seem to get their attention. Nevertheless, we keep hoping and praying that the message will reach those who have eyes to see and ears to hear what the Word of God clearly foretells. For those who do acknowledge things happening as the Bible describes, it can be a bittersweet experience. The unhappy part is the recognition of the overwhelming, destructive consequences of the apostasy that is taking place in the world, in the church, and among our friends and loved ones who have succumbed to the increasing deceptions and seductions. Yet, on the other hand, we can rejoice that the Bible is confirming its miraculous prophetic nature, as it is in truth the Word of God! Furthermore, the fact that such events, long ago foretold, are taking place indicates that our blessed hope, the return of our wonderful Savior for His saints, is drawing closer, although no man knows the day and the hour. In the meantime, how should we go about dealing with these troubling times that aggressively oppose the Bible’s instructions for living our lives in a way that is pleasing to the Lord? The simple answer is: Learn what the Bible teaches, and then do what it says, in spirit and in truth. Such understanding and doing in the life of a believer is possible only by the Holy Spirit who dwells within every born-again Christian. Rarely, however, does the Spirit of God work in a vacuum, which means that the believer must fill his heart and mind with the teachings of Scripture so the Holy Spirit can give him understanding and help him to apply the wisdom that God has provided in the Word. One such teaching that is an issue of increasing concern is fellowship (or the lack thereof) among believers. An all-too-common request from readers of The Berean Call is that we might help them to find a truly Bible-believing church. To participate in such fellowship and teaching, some are willing (as many already do) to drive for hours to be fed from the Word of God. Our response is that we can’t recommend anychurches. That isn’t because there aren’t some solid churches around; it’s because we’ve seen so many churches buy into questionable teachings and unbiblical programs, seemingly overnight. Our counsel for those who are earnestly seeking a church is to call and question the church’s pastor or an elder regarding the fellowship’s view of God’s Word, i.e., how serious the church is about it. A statement of faith, although it may appear biblically sound, is rarely a true indicator of the biblical discernment and practice within that church. Again, questions need to be asked and acceptable responses need to be followed up by personal attendance to see if indeed the church lives up to what has been claimed. Often, the reasons why Christians leave one fellowship for another have more to do with a “consumer attitude” rather than from a desire to hear God’s Word and to serve their brothers and sisters in Christ. A “feed me” mentality often transcends scriptural edification and prioritizes things such as a worship music preference, the length of a sermon or service, the pastor’s charisma, availability of popular programs, a lack of pew cup holders, etc. Although such thinking can creep into even the most committed believers, it’s the seeker-friendly, market-driven churches that have led the way in compromising biblical doctrine. The seeker-sensitive approach (see TBC articles) may increase a church’s numbers (usually by drawing from the “have not” churches mentioned above), but it has also created refugees who are looking for doctrinal integrity. The bad news/good news is that both will increase in the days ahead. ). Such an approach may foster a self-focused mentality and hardly ever lends itself to the biblical admonition to serve others (Galatians:5:13). Moreover, what may be the most spiritually damaging consequence of disregarding fellowship is that the believer risks becoming a “Lone Ranger” Christian. Such a person is an easy target for the one who goes about as a “roaring lion…seeking whom he may devour” (1 Peter:5:8). Christians who have no fellowship, regardless of the reasons or rationale, have consequently brought upon themselves more than a few potential problems. To begin with, as the verses above from Ecclesiastes assert, they have put themselves into a weak and vulnerable position: Two are better than one… . For if they fall, the one will lift up his fellow: but woe to him that is alone when he falleth; for he hath not another to help him up . A believer who has no one to support him spiritually will find himself in trouble sooner or later. When any of us gets knocked down spiritually, we need a fellow believer to help us up—mentally, emotionally, and, most important, spiritually . As for those who declare, “The Lord is all we need,” too often, their subsequent thinking is out of line with God’s Word. Jesus said inLuke:6:46, “And why call ye me, Lord, Lord, and do not the things which I say?” Certainly we need Jesus first and foremost, but He has given us instructions that we are to follow, and they include involving other believers in our lives. His Word tells us that we are not to forsake “the assembling of ourselves together, as the manner of some is” (Hebrews:10:25). That isn’t merely a suggestion! Even if we weren’t aware of the reasons for our Lord’s mandate , it must still be obeyed, and numerous reasons are given throughout Scripture. Included among those are accountability, encouragement, praying for others and being prayed for, edification of one another through the Word, correction, personal support and strengthening in the faith, showing empathy and compassion, helping others to use discernment, increasing in our love for one another, and sustaining biblical steadfastness. 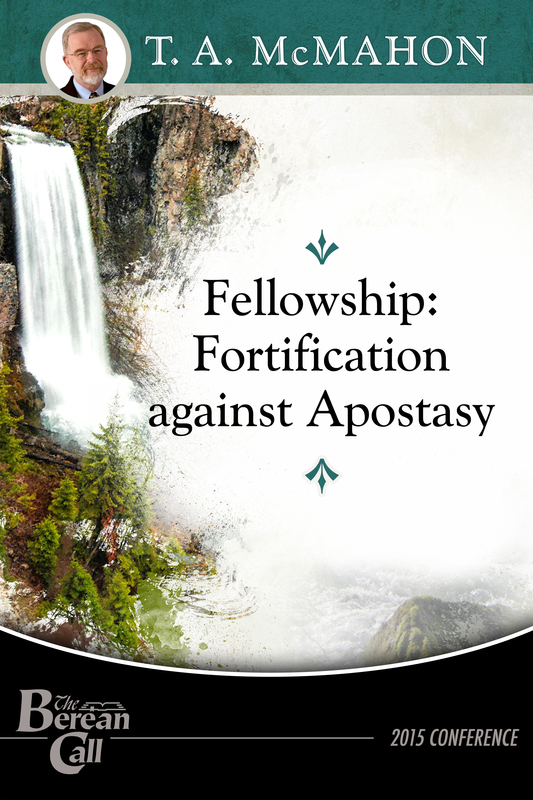 Practically speaking, avoiding or disdaining fellowship eliminates our ability to fulfill the important exhortations for believers to serve one another. Anyone’s claim that they “follow Jesus” rings hollow at the very least if he evades our Savior’s example of coming not to be served but to serve , even to give His life for others (Matthew:20:28). We are to “Bear ye one another’s burdens, and so fulfill the law of Christ” (Galatians:6:2). Paul’s epistles to the Corinthians are replete with examples of believers ministering to each other, accepting one another, edifying each other, correcting each other, meeting the needs of other saints, and so forth. Too often, we miss the fact that in Paul’s writings to the churches he gives us a wonderful example of how we are to minister to one another. That should be evident to us when we read, “Brethren, join in following my example , and note those who so walk, as you have us for a pattern.” His commitment to and love for his fellow believers throughout his God-inspired writings is both extraordinary and convicting. Even if our future holds persecutions, which have not formerly been much on the horizon in the West (but are a fact of life for many of our brothers and sisters in Christ in numerous countries), the importance of fellowship is even more imperative for believers, as the Scriptures make clear. As the persecution of biblical Christians in the West will surely increase, those who desire to be true to the faith “which was once delivered unto the saints” (Jude 3) will be marginalized at least, with even worse experiences in the days ahead. After decades of spiritual seduction due to unbiblical teachings, false practices, compromise with the world, the pervasive acceptance of the pseudo sciences of evolution and psychotherapy in the US, the acceptance of social “correctness” regarding homosexuality, and the eagerness to do things man’s way rather than God’s way, we have arrived at the time when “judgment must begin at the house of God” (1 Peter:4:17). How exactly that will take place remains to be seen, but the history of persecution within Christendom indicates that it more than rivals martyrdom executed by governments. One needs only to consider the historic religious inquisitions to recognize that. Will the world really turn on Christians? Some governments already have, but it will soon grow worse. Why? Because our planet is headed for a one-world government that will be under the rule of the Antichrist. The religion of the Antichrist, as Dave Hunt has pointed out, is not just in opposition to biblical Christianity; it is a seductive counterfeit of Christianity. Retaining a form of biblical Christianity without its truth, without its gospel, without its instructions, it will become a self-love-oriented, self-deifying belief system that initially has “a form of godliness” but denies its power (2 Timothy:3:5). Professing Christians will therefore be given a pass—but not biblical Christians, those who stand steadfast in God’s Word. What then is the biblical Christian to do as we see these situations proliferating prior to the return of Jesus for His bride? Much of what we are being told and sold by some Christian websites and Christian bestselling authors who disregard the imminent return of Jesus and the pretrib Rapture is that we must prepare to physically survive the seven years of tribulation. as a time “such as was not since the beginning of the world to this time, nor ever shall be, and except those days should be shortened, there should no flesh be saved.” Even a cursory reading of Revelation demonstrates clearly that cataclysmic events, martyrdom, and God’s wrath will leave only a remnant of believing Jews and non-Jews alive at the Second Coming of Christ with His saints. Yet one Christian documentary promotional trailer chides pastors for not preparing their flocks to go through the “great tribulation” (Matthew:24:21). Believers shouldn’t be surprised or overwhelmed when they are called upon to endure tribulation (John:16:33) but the Great Tribulation is not in our future. Christ will remove His bride in the Rapture before the “time of Jacob’s trouble,” an event so devastating that Jeremiah declares, “Alas! for that day is great, so that none is like it” (30:7). How then should believers prepare for potential troubles, especially within Christendom, prior to the Rapture? The prevention program is hardly complex, although it may be a real struggle for some, depending on where they are in their walk with the Lord. Like any exercise program, it can be initially difficult for those who are new to it. The struggle has to do primarily with discipline. Daily reading of God’s Word is a foundational exercise that needs to become a habit for every born-again Christian. The content of the Scriptures—what one reads—must then be lived out in the believer’s daily life. That disciplined familiarity with God’s instructions is not only necessary to guide one’s life, but it forms the basis for protecting one against spiritual deception. Question: Some of our friends are former Catholics who have forsaken the traditions of Rome for the truth of Scripture. Recently, however, we have been saddened to see them being drawn to word-faith teaching. What can we tell them? Question: What is the extent of God’s “Divine Providence”? Does it encompass all things that happen?